There is no doubt that one of the fastest growing wearable types go to fitness trackers. From Apple’s new Series 2 watch, to the endless array of GPS sport watches, there is something for everyone in every price point. 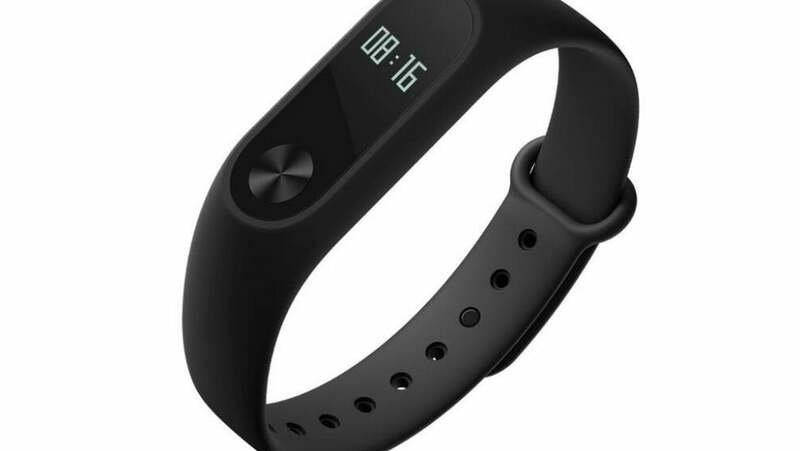 On the entry-level, affordable side of the spectrum, there is a lot of junk on the market for tracking steps; however, one particular wearable stands out, the Xiaomi Mi Band 2. While the Mi Band 2 is not perfect, most of the flaws can be overlooked based on its sub-$30 price tag. This is Xiaomi’s latest wearable (manufactured by Foxconn), building on their success of the 2014 launch of the first Mi Band. Their initial offering received praise for their incredibly affordable price point, but had accuracy issues and was not as robust in features. Over a month and a half we wore the Xiaomi Mi Band 2 as a daily wearable, took it on long and short runs, and did a bit of stress testing by wearing it while kayaking. Ultimately it passed our tests with positive marks, but there are some weak areas that we’ll touch on throughout this review. It should be noted that accuracy was not tested in a scientific manner, but was compared to the iPhone 6 built-in step tracker, the Mio Fuse tracker, and Fitbit charge tracker. For the price tag, the Mi Band 2 packs a lot of features, however some of the newest have some room for improvement. Between the Mi Band 1 and 2, the standout feature is the heart rate sensor. Unfortunately, the Mi Band 2 didn’t perform to expectations and while stationary or during heavy exercise as the sensor didn’t register well. However, within the app there is also a feature to allow the sensor to monitor you while asleep for more accurate readings. Unlike many other smart bands, the Mi Band 2 also does not feature an always-on heart rate monitor, so it’s typically only running while you are active, asleep, or trigger it. Beyond that sore point, almost every other feature works as intended or even better. The sleep tracking feature, something that the new Apple Watch lacks natively, works just as well as a Fitbit. Rather than manually triggering it, the Mi Band 2 detects when you’ve transitioned from stationary to sleep then active again. Like the sleep tracker, activity tracking is also automatic, sort of. Once you start moving more, the Mi Band 2 detects your increased activity, begins tracking your heart rate, and tracks it as an exercise. It’s a bit iffy about this being triggered, so for the most part we ended up manually activating the activity tracker. Battery life is always a big factor for fitness wearables, and the Mi Band 2 has a standby lifespan of about 20 days. If you are actively wearing it, you can expect about 14 days of battery life; however, it only takes three hours for a full charge and topping it off every now and then is an easy task. You can also expect that the battery life will vary based on your activity level. Between Android and iOS phones, there are a few special features. On certain Android phones, wearing the Mi Band 2 near it will automatically unlock your phone. For iOS, the Mi Band 2 also connects to Apple HealthKit, which is a pretty big plus above Fitbit. As for notifications, the Mi Band 2 really offer many option for basic tracker, you get call notifications, text alerts, Whatsapp, Snapchat, Facebook, Twitter, and buzzes you when you’ve been inactive for a long period of time. As for some of the basic specs, the band connects by way of Bluetooth 4.0, has a water resistance rating of IP67 (good for splashes, showering, and some submersion), and is incredibly lightweight at .04 pounds. It also sports a basic OLED screen with a touch screen, which is really more of a single touchpoint, but works well as a simple tap instead of over complicated gestures or presses. The latest trends for fitness trackers is to make them both more fashionable and easier to adapt to your apparel. For Apple, they made big bets on this initially, and then later refocusing the Apple Watch on fitness with a fashion forward approach. The same goes for Fitbit and the new Alta line that also includes swappable bands, which most in their product line do not. For the Mi Band 2, it’s not the most fashionable tracker, but the bands are easily swappable and comes in several colors. 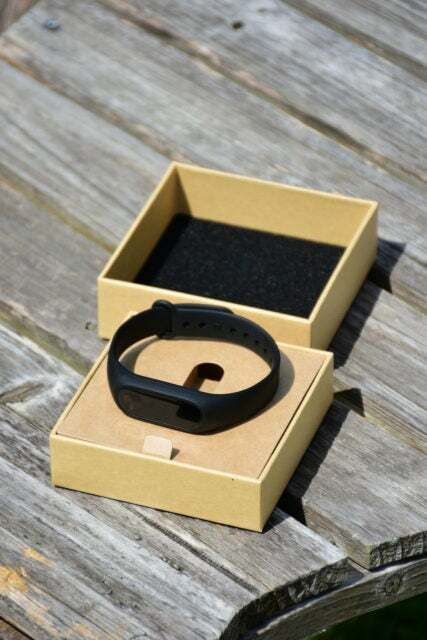 The default or most accessible band typically comes in black though, which consists of a sweat resistant, light-weight band, and the tracking module with a finger touchpad. For runners or really anyone tracking activities with movement, you tend to sweat a lot. Having taken the Mi Band 2 on short and long runs (5-8 miles), the lightweight material didn’t flop around or irritate the skin (you still need to clean and dry it off after activity). Should you buy the Xiaomi Mi Band 2? If you want an extremely affordable fitness tracker, absolutely. Though it appears to over-track steps and the heart rate sensor doesn’t work great, it’s accurate enough to make it a reasonable motivator. Between the extended notifications, sleep tracking, water resistance, swappable bands, and awesome battery life, the Mi Band 2 is a great little fitness tracker. We give the Mi Band 2 a 4/5 and recommend it as an entry-level wearable.